WASHINGTON – Deportations of immigrants caught at the U.S.-Mexico border surged under the Obama administration even as the number deported from the interior of the country fell sharply, according to a study of a decade’s worth of government data. 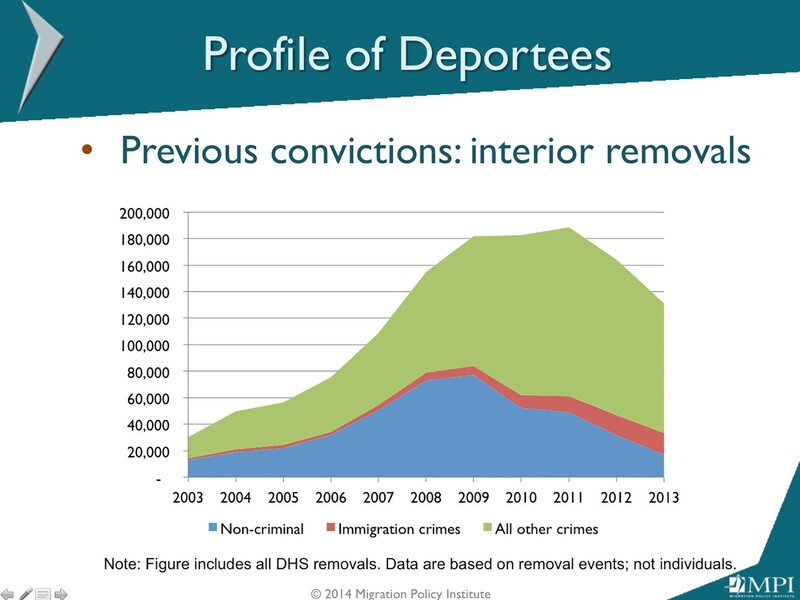 The report – based on a U.S. Immigration and Customs Enforcement database of all deportations from 2003 to 2013 – examines removal trends during the Bush and Obama administrations, among other findings. 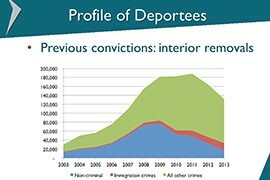 Obama ratcheted up action against those priority groups in 2009 – and even more so beginning in 2011 – resulting in a growing number of deportations of immigrants who have been convicted of a crime in this country. 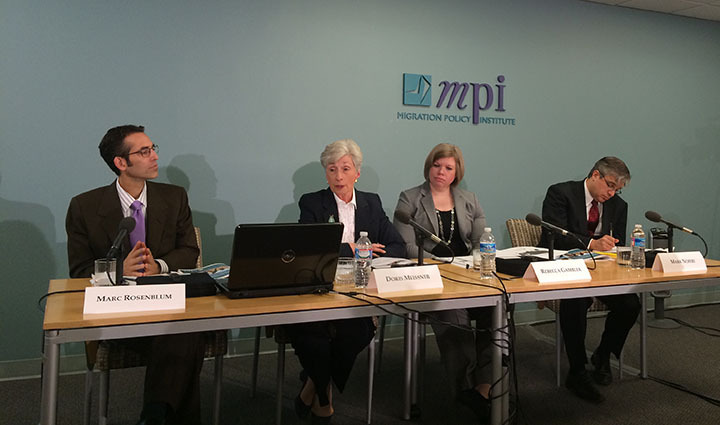 “The Obama administration has been successful at focusing enforcement on the three priority categories identified beginning in 2010,” said Doris Meissner, director of MPI’s U.S. immigration policy program. “Yet highly focused enforcement and the characteristics of people removed leave the administration with little additional room to maneuver by simply refining its existing priorities,” she said. “Even while focusing on interior removals, President Obama has out-deported President Bush based on the data available,” Nowrasteh said. A report by the Migration Policy Institute shows that the U.S. deports more Mexican and Central American men than any other group of unauthorized immigrants. Reporter Stephen Hicks spoke with the author of the report to find out more. 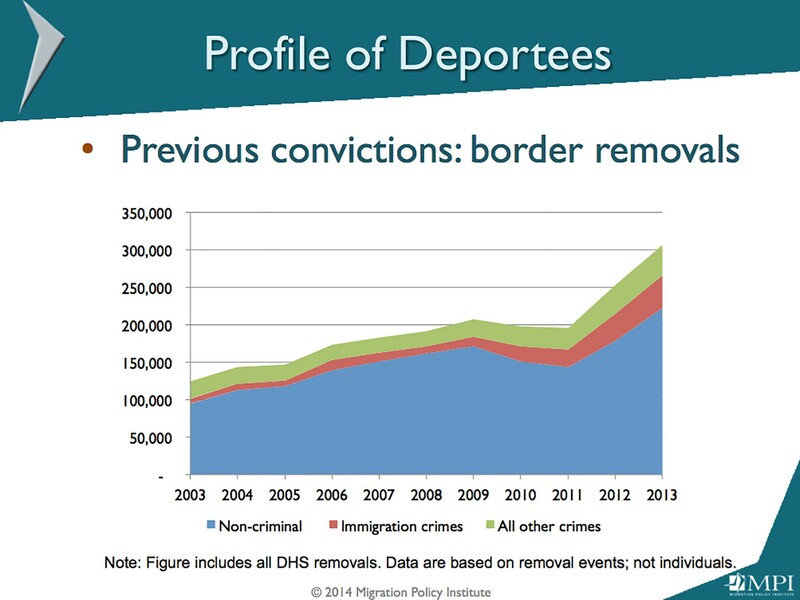 Apprehension and deportation of immigrants at the border have risen sharply over the last decade, and most of those immigrants have committed no crime besides crossing the border. While border apprehensions have grown, the number of immigrants caught in the interior of the country has fallen sharply, and those people are much more likely to have committed a crime. 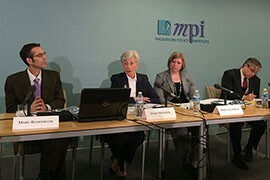 Doris Meissner, second from left, discusses the Migration Policy Institute's findings from a comprehensive analysis of 10 years of deportations from the U.S.